Back from a nice JUCO basketball break. Over the last few years, the NCAA has been changing college basketball rules to speed up the game. The games has sped up a little but, unexpectedly the rule changes have changed how many teams are playing defense. Between rule changes and stylistic shifts in the game, coaches are increasingly trying what may have once been unthinkable: playing zone. Bill Self looked onto the court in one of Kansas’ games this year and could only think of one word to describe what he was seeing: ugly. 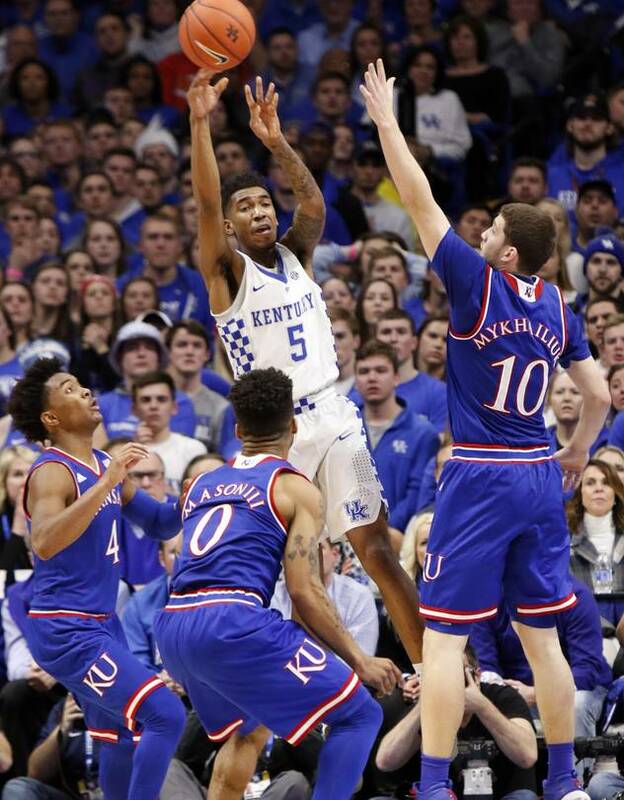 The Jayhawks had fallen behind by as much as 12 to Kentucky in Rupp Arena, and the game looked lost. Self was desperate. So he gritted his teeth and did something that went against one of his foundational coaching principles: He played a zone defense. Self admitted it wasn’t anything special. There weren’t going to be “any educational tapes on that zone,” he said afterward. But he couldn’t ignore the reality of what happened after they went to zone. For almost as long as college basketball has existed, coaches have been divided by dogma about particular styles of play. The chasm on the defensive end has been the most polarizing. Most coaches believe in playing man-to-man defense. Some coaches think zone is better. Few are willing to try both. But recent evolutions have produced a detente in this philosophical war—a thaw on full display in this NCAA tournament. Coaches who made their names with man-to-man defenses are now switching to zones in the biggest games of their seasons. And the team that wins it all may be the one that can solve an unexpected zone. That’s because people across the sport have been increasingly coming around to an idea that was heretical not long ago: It would be crazy not to go zone sometimes. Critics used to assail the zone—a scheme in which defenders are tasked with guarding a particular area on the court instead of a single player—as a lazy gimmick. They insisted that a well-executed man-to-man would always make it harder to score. Bob Knight went most of his career refusing to try a zone. There was a time when fans would expect Mike Krzyzewski to wear North Carolina blue before he played one. For decades, the zone has been most closely associated with one coach, Syracuse’s Jim Boeheim. His zone set the standard for suffocating opponents and taking them out of their rhythm. The Orange reached five Final Fours and won the 2003 title in large part because they executed the zone to perfection. That rapid growth, not coincidentally, comes at a time when the NCAA has revamped some of basketball’s rules to create a more free-flowing game. One of the biggest changes involves more strictly enforcing hand-check fouls by defenders on the perimeter. Coaches see zones as a way to reduce the pressure on their defenders to aggressively harass opponents, thereby reducing foul trouble. They will also imitate anything that works—and the zone has worked. Before missing this year’s tournament, Syracuse made two out of the previous four Final Fours with a defense that consistently ranked among the stingiest in the country, while Rick Pitino’s zone press carried Louisville to the 2013 title. But what makes this shift in thinking so bewildering is that it seems to flout decades of basketball orthodoxy. The commonly held belief has always been that good outside shooting can beat zone defenses. And players are shooting more threes than ever now. It should make no sense that so many coaches are adopting zones. But that also may be their exact reasoning. When post players are capable of shooting threes, they draw the biggest defenders to the outside. That means these defenders aren’t there to help protect the interior when guards drive. “There’s more spacing on the floor, which spreads out the defense,” says former NBA and college star Grant Hill, now an analyst on CBS. In a zone, though, the best shot blockers camp out near the rim and do what they do best. The NBA has altered its rules that used to effectively eliminate zone defenses, but the defensive three-second penalty still prevents big men from just standing beneath the hoop for the entire game. The first week of the NCAA tournament owed some of its biggest upsets to this sudden willingness to mix it up. Andy Enfield, the coach of No. 11 seed Southern California, usually prefers man-to-man, but noticed early in their first-round win against No. 6 SMU that the zone was more effective. That surprising switch is how he stunned UCLA earlier this season. Mack was right. No. 11 Xavier pummeled the Seminoles, 91-66, and became the lowest seed in this weekend’s Sweet 16.